. Closed Tags: download, Podcast, scuba. There’s lots of news to report at The So Very! King Britt will be in Honolulu this week to play at Next Door on Wednesday and Friday. In between, he’ll drop by The So Very Show! We’re very excited to host King Britt on the show and excited to hear the eclectic and diverse music he’ll be playing. On Wednesday, he’s doing an 80′s set at Acid Wash Wednesdays at Next Door, and on Friday he’ll be playing for Next Door’s popular house night, Pacific Standard. King Britt has long been a favorite on The So Very Show. His productions as “Scuba” and “Sylk 130″, as well as his collaborations on Ovum Recordings have all been played and enjoyed here on the show over the years. 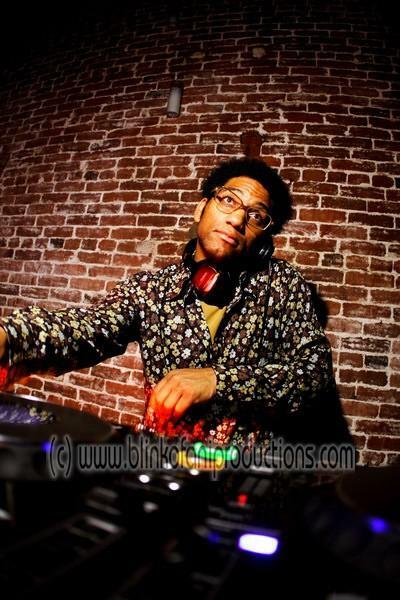 King Britt’s amazing talent and musical influences – from jazz, funk, hip hop and more – color his house music productions. He has done remixes for artists such as Ursula Rucker and Macy Gray, as well as for the prestigious Verve jazz label. This Philly native knows how to turn the funk on! This is one show you don’t want to miss. Tune in this Thursday, August 23rd from 9p to midnight, Hawaii Standard Time to catch King Britt live on The So Very Show. You may have noticed some changes around here – and there are more to come. For several months now, The So Very Show has been simulcast on an excellent internet radio station called 90hz.org. 90hz fits us in philosophy, and most definitely in music, and we’re privileged to be broadcasting with them. Listening with 90hz also gives you the chance to interact live with The So Very Show and our listeners by visiting the 90hz.org chat during the broadcast. See you in the chat! If you love house music like we do, then you’ll consider 90hz.org a find – there are shows featuring live house djs every day, including two shows I already know you’re gonna dig – Noise From The Void hosted by Jeno (Wicked, SF) on Tuesday nights and Sunday Soul hosted by Sunshine Jones of Dubtribe Sound System (King Street, SF) Sunday evenings. Enjoy! Please tune in this Thursday and every Thursday to 90hz.org to listen to The So Very Show.